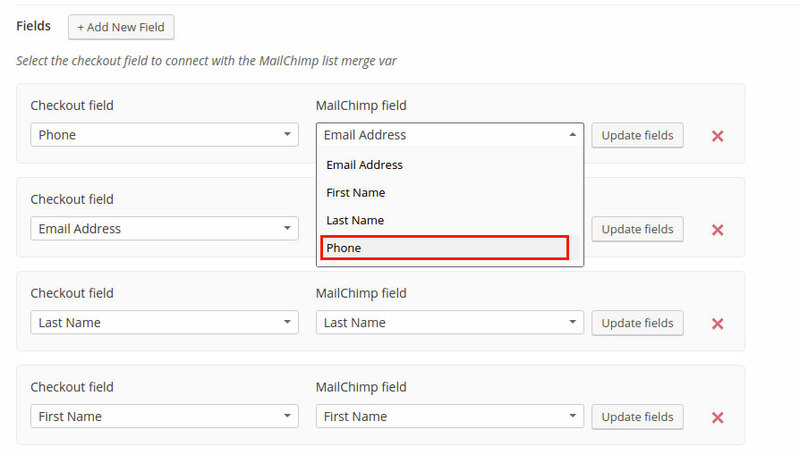 As previously mentioned, the plugin allows to connect the checkout fields to MailChimp: in this way, for each registration, you could save further information, in addition to the classic “Name”, “Surname” and “Email”, and reuse them later also for the creation of new forms through Mailchimp. By default the plugin is already suitable to associate three fields: “First name”, “Last Name” and “Email”. Let’s see how to associate a new field. In this case we will consider the “phone” field. As first thing we need to create a new field on MailChimp. 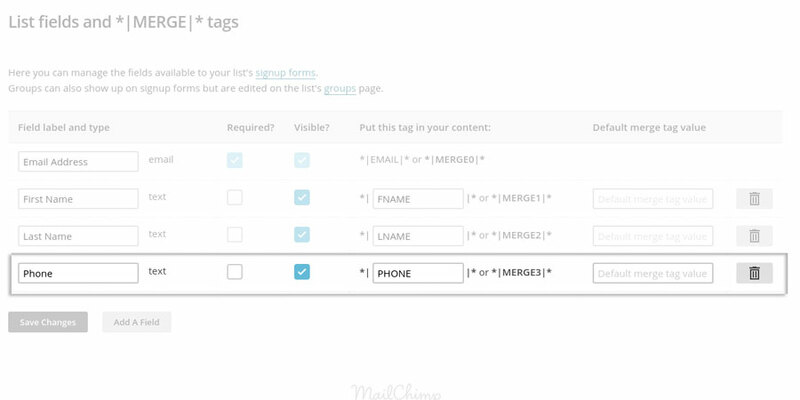 Select the list and go to “Settings -> List fields and *|MERGE|* tags”. Now you can insert the new “Phone” field. Open again the plugin and update the fields list through the “Update Fields” button. The new field will be shown within the list. PLEASE NOTE: check the list you have selected is the same as in the plugin and in MailChimp. After selecting it, save the options set. Now the association is done. The plugin allows to associate all the checkout fields, both the billing and shipping ones. The support is available also for all the custom fields created with the plugin.